It’s time to be hoppin’ happy! It‘s time for THE CHILDREN’S AUTHOR/ILLUSTRATOR BLOG HOP! I was tagged by Emily Lim, one of Singapore’s most popular and prolific picture book authors. We connected over a year ago through blogging – I linked one of my posts to one of her posts – she came to visit, left a comment – and the rest is history. What is so super cool is that this past May, I got to meet Emily in person when I went to Singapore for the Asian Festival of Children’s Content, a week long celebration of exceptional children content creators – with two days of SCBWI conferences and dozens of presentations by authors and illustrators from around the globe. Her first book took the reader along on Emily’s journey as she coped with Spasmodic Dysphonia, a rare voice disorder. Unable to speak so that people could understand what she was saying, Emily persevered in her high powered corporate career…until she discovered that writing for children was where her heart and soul were. 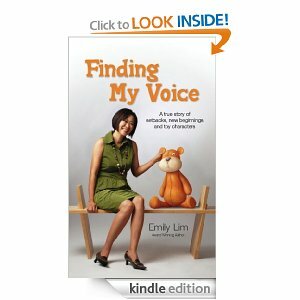 Emily is the award-winning author of over 20 children’s books – many of them address disabilities and self-esteem issues. They are being performed by the Learning Connection’s Storybook Theater, as well as used in the elementary schools all across Singapore. Emily has traveled the world and is a devoted mom to 3-year old Caleb. She participates in 12×12, was the Singaporean representative at the SCBWI Rottnest Retreat and has just completed Mira Reisberg’s Picture Book Academy course. Many thanks, Emily, for including me in the hop! Now, here are my answers to the blog hop questions. Unpacking boxes from our move – Susanna Leonard Hill’s Halloweensie Contest (there is still time for YOU to put together a 100 word story and enter) – trying my hand at illustrating – looking forward to PiBoIdMo. I’m also polishing my picture book manuscript for submission to the October 12×12 agent Elena Giovannzo. It’s a rollicking rhyme about a little boy who just WON’T take off his beloved cowboy boots. There have been quite a few books recently that feature girl characters – hopefully someone is looking for one about a quirky funny little boy. I always loved reading picture books – they tell the story and deliver a message in so few words. These small books can make a decidedly big impact on a child. My dream is to write a picture book that children will want to hear over and over again – one that will help them step onto the road to becoming lovers of books and reading. The hardest part of writing is being disciplined to set aside writing time that isn’t eroded by social media, blogging, housework and everything else that gets in the way of having a productive day. 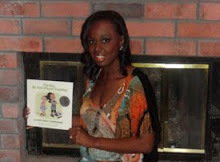 I met Myra through blogging – both of us are passionate about kids and reading and books. And I finally got to meet this amazing woman at the 2013 AFCC in Singapore. She is like the Energizer Bunny…speaking at conferences, traveling world-wide and always raising awareness of the important of reading and books for children. Asst/Prof Myra Garces-Bacsal is a Teacher Educator and Coordinator of the Masters and Bachelor’s Program in High Ability Studies and Gifted Education at the National Institute of Education, Nanyang Technological University in Singapore. 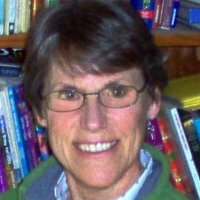 As a clinical psychologist, she has done extensive work with the gifted which range from conducting psychological assessments to counseling and developing indigenous gifted programs for highly-able learners. Aside from doing teaching supervision in Singapore Schools, she also does clinical supervision among graduate students in counseling psychology. Dr. Bacsal has published on socioaffective concerns of gifted learners, family influences in talent development, and experiences of flow among young artists. Her research interests include psychology of artists, Asian folktales, identification of the disadvantaged gifted, experiences of flow among creatives, and bibliotherapy. I met Clar through Perfect Picture Book Friday posts. She is a true friend and is always supportive and encouraging to all members of this kid lit community. Clar attends conferences and participates in many writing events…she understands what is needed to get your work out there. She knows how hard it is to carve out time for writing…but she always finds the time to visit and comment on blogs she enjoys. Her debut picture book, Annie’s Special Day, is a journey throughout the 24-hour day of a little girl’s birthday. From her blog bio: Clara Bowman-Jahn worked as a registered nurse for thirty two years finally trading that job for her true love, writing. Clara’s short stories have been published in the anthology of the “Campaigner’s Challenges 2011” Book. When Clara is not writing, she does volunteer work for a local elementary school and her church. She also likes taking long walks with her husband, blogging, and reading books. She is a member of the Society for Children’s Book Writers and Illustrators, Pennwriters, Bethesda Writer’s Center and Round Hill Writer’s Group. She lives in rural Loudoun County, Virginia with her humorous husband, a senior dog and two cats. And she is the proud mother of two wonderful grown sons and a grandmother to a delightful grandson. I connected with Donalisa when my book first came out. I loved her website, WILD ABOUT READING, as well as her passion for helping kids love books and reading. We’ve kept in touch over the past couple of years – I’m always thrilled when she announces that another new picture book is about to be published! Please take a few minutes and stop by these amazing authors’ blogs to say hello. They are all great people…and wonderful writers!Oh my goodness…I almost forgot. I promised a GIVEAWAY, didn’t I?We’ll keep it simple…just leave a comment telling why you’d like to win a copy of Show Me How! Build Your Child’s Self-Esteem Through Reading, Crafting and Cooking. Maybe you want to give a copy as a Christmas present. Perhaps your child’s nursery school or kindergarten teacher could use some fresh activity ideas? Maybe you have friends or family who are expecting a baby and you want to give something other than blankets and rattles. Next Friday we’ll announce the winner – chosen by Random.org. I hope you all have a beautiful weekend – here in New Hampshire, the fall colors are at their peak! This entry was posted in Author/Illustrator Blog Hop, Blogging, Giveaway, Writing for Children and tagged Children's literature, Clara Bowman-Jahn, Donalisa Helsley, Dr. Myra Garces-Bacsal, Emily Lim, Giveaway by viviankirkfield. Bookmark the permalink. Enjoy the fall colors, Vivian! Have a fantastic fall day. How exciting, Vivian! I love the idea for your picture book, too! Enjoyed your post and met two new authors I hadn’t met before — Emily Lim and Donalisa Helsley. You’re right, your book is a great mother-to-be gift. I’m attending a shower for one of my daughter’s friends in November. She has a little girl in kindergarten and another little girl due in December. That’s what’s so fun about these hops…you do meet great new people. :) Have fun at the shower, Pat! Emily…one of the things that makes you so special is that you are so genuinely humble about all of your accomplishments. I love that about you! Thanks so much for the shout out, Vivian! You are a true friend. Yes, New Hampshire will soon have snow. And we both will want to be in Florida and it’s warmth. Can you believe I gave up an invitation to go to Jamaica in Feb for my nephew’s wedding? I must be crazy. GREAT POST, Clar! Thanks for keeping the author/illustrator blog hop going and adding four wonderful authors!